Built-in LED status light feedback, key transmissive support font translucent effect, can feedback button local status and background system transmission status. When the button is in the backlight LED light, manually press the button, the backlight LED light changes color; then lift the button, the backlight LED lights return to the previous backlight LED light color. The LED feedback signal of the BVL series dry contact panel can be freely programmed through the IO module such as HRMS-DCI3528 or SDR-KDC0808. The device operates with a 5 to 24VDC DC power supply, and the key panel enters the standby power-saving mode; the power consumption is lower than 25mA, and the key backlight indicator is used to actively save energy through distance sensing. This design meets the needs of low carbon and environmental protection. The BVL series button panel was designed by Italian design masters of BVL Hotel and has high requirements for materials and craftsmanship. The frame is made of high-grade aluminum alloy material. After the laser engraving, the keys are displayed by the two-color LED. 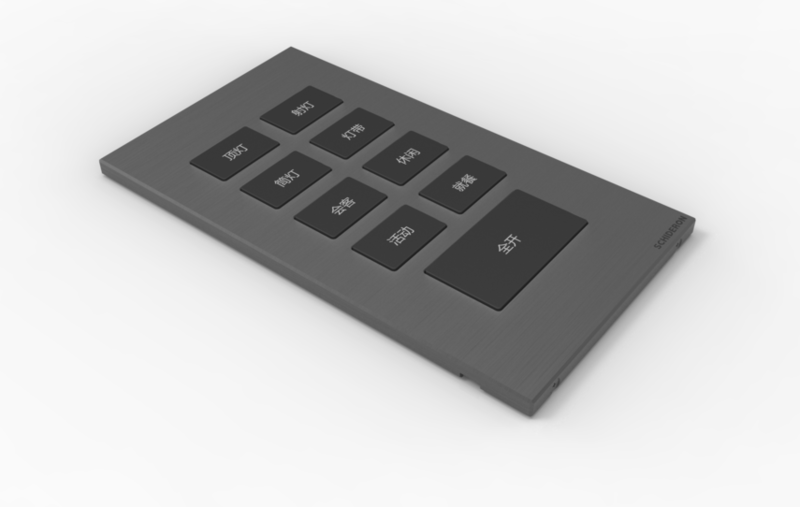 With configurable smart keys, it can be conveniently installed in the special bottom box, and the safe voltage of the smart key panel The device is very easy to install on the wall as part of a complete intelligent control system. This button panel also offers a variety of Different color and style frames are used for different occasions or individuals. BVL-DKP9-AL-1 is one of the BVL series products. Meet the needs of customization. A variety of refined styles can add color to any room; no matter what the style of the hotel decoration, with the environment and open The free collocation of the panel can perfectly integrate the panel and the environment. In addition to the appearance of color materials, BVL series also provides enough flexibility, you can choose a reasonable according to your needs The number of keys. With BVL panels and related accessories, together with other executive modules, you can create your own personalization Smart room system. The elegant elegance of BVL series is very popular with the hotel.